Congratulations to the 2018 Governor’s Awards for Excellence winners. The annual event, sponsored by the State Employees Credit Union Foundation and managed by the Office of State Human Resources, recognizes outstanding employees nominated by state agencies and universities. 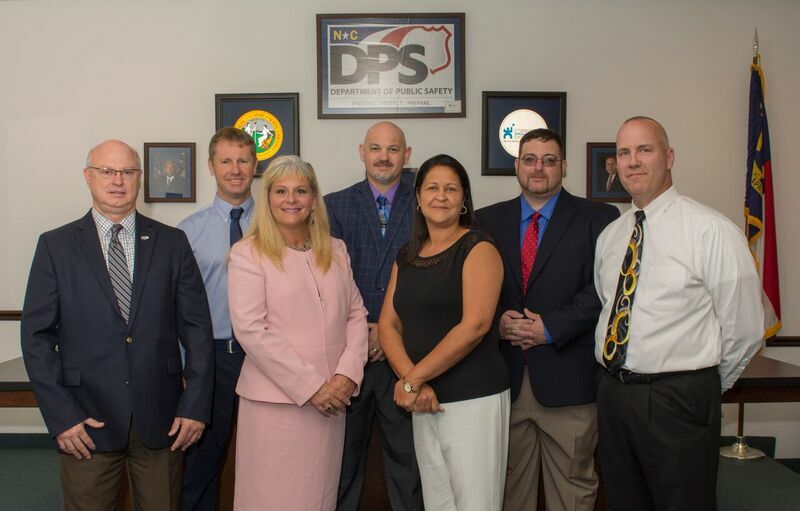 This year, 20 honorees were selected for awards in six categories: Customer Service, Efficiency and Innovation, Human Relations, Outstanding Government Service, Human Relations, Public Service and Safety and Heroism. Learn more about each exceptional employee by watching short videos that tell their stories and reading their profiles below. Click here to watch the GAE Ceremony! 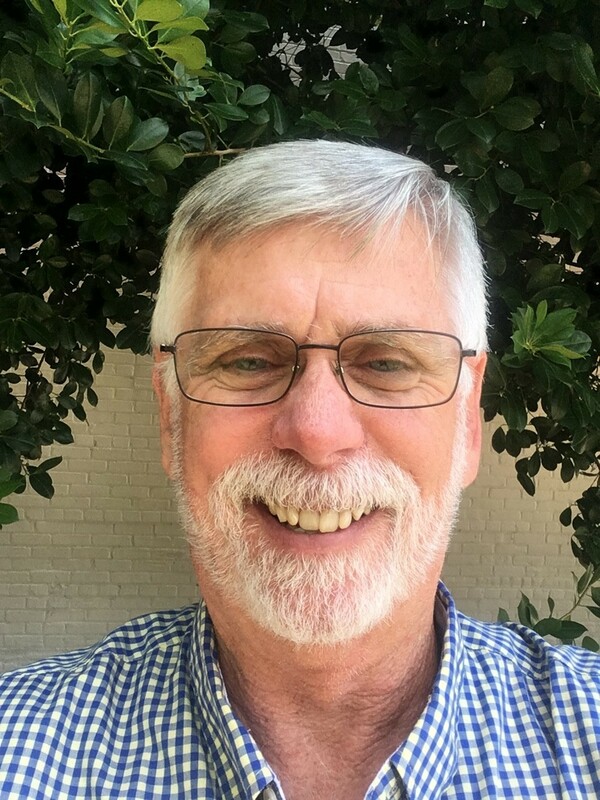 Mike Last serves as the intelligence within Asset Management, or AiM, system administrator within Facilities Administration at the University of North Carolina-Wilmington. He is responsible for all aspects of managing the system, from the highly technical aspects through end user support. His extensive knowledge of the software, coupled with his remarkable people skills, allows Last to provide excellent customer service. He has been the driving force in developing AiM into an efficient and useful tool that is easy to use by individuals at all levels. One of the many remarkable things about Last’s style is that he has a very hands-on approach in learning how to best serve his customers. Work Management, one of the largest modules within AiM, requires all repair and maintenance work performed to be recorded appropriately on work orders. Last provides assistance on-site for staff to teach them how to use the system. He also spent time in the plumbing shop to learn about backflow prevention to improve processes required for the 300 facilities on campus. Last has a desire to see things from the perspective of those he serves. He has performed work alongside the mechanics in Garage Operation in order to understand their typical day. This initiative allowed clarification of some processing concerns for the garage. Visits to other units, including the Electric, Locksmith and HVAC shops, helped him to plan and implement additional efficiencies. Employees learn from Last, enjoy working with him, and feel like he will listen to issues and act on them. Mike Last’s exceptional service as a UNC-Wilmington employee has sparked friendships, made a fear of technology suddenly become less scary, and established trust across departments, staff and management. 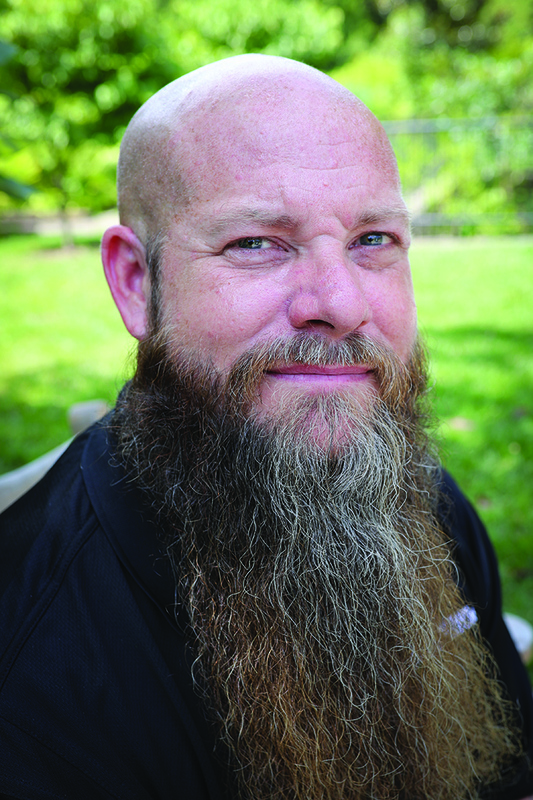 Brian Maney is an innovator who does not hesitate to go outside the scope of his traditional job at the North Carolina Arboretum in Asheville. Maney’s desire to solve problems long designated as “unrepairable” has resulted in upgrades to lighting, water usage, heating and cooling. His willingness to take on these challenges as well as volunteer for new projects has helped save the Arboretum more than $240,000 in contractor costs. Maney personally converted 186 high voltage lighting fixtures that used either sodium vapor or metal halide bulbs to high efficiency LED technology. Maney also embraced the challenge of converting abandoned fixtures to a lower voltage. This not only proved to be successful, but also allowed LED technology to be used. Changes like this have helped the Arboretum consistently reduce energy costs. Maney actively works to make things better for visitors, fellow employees and the Arboretum. Combining his training with know-how and inquisitiveness, Maney learned how to program the Arboretum’s 50-foot lighted tree to sync with holiday music during the Winter Lights show. Extending the lighting and music to surrounding gardens is now a fan favorite. Without being asked, he designed a children’s version of the holiday tree that kids could learn to operate. Maney was also able to address an issue with the solar hot water heater within the Arboretum’s operations building. He reconfigured the photovoltaic solar panels to generate energy used directly by campus. The building now utilizes the least energy and acts as the hub for the entire facility and horticulture areas. Furthermore, Maney was instrumental in repairing the pumps in the stream garden that had not worked since 2012. 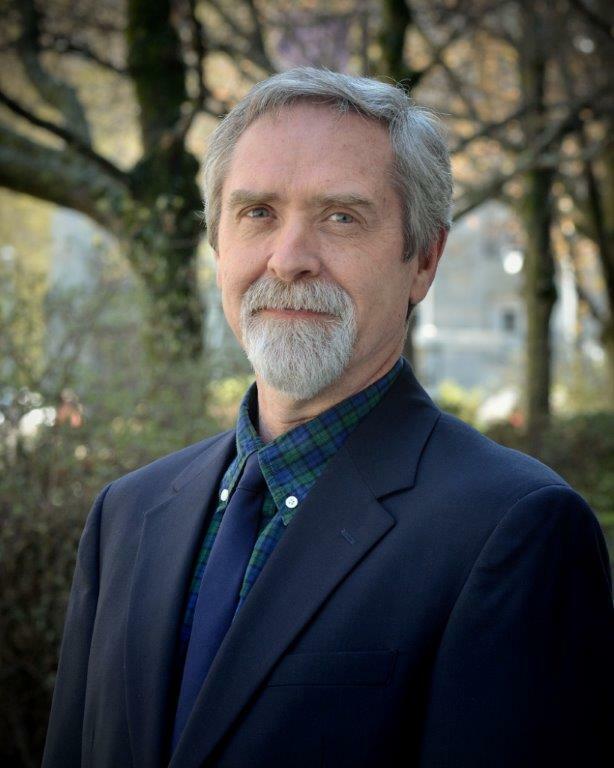 Brian Maney’s desire to share knowledge to the benefit of those around the Arboretum makes him an admired and inspiring leader. Robert Leon, Director of Correction Enterprises (CE), recognized his agency could benefit from implementing LEAN Manufacturing techniques to improves processes and eliminate waste within the 30 manufacturing facilities across the state. It was immediately recognized that the efficiency-focused training and process implementation benefits would be two-fold: The improved process results in higher quality, lower-cost products for CE customers. It also improves skill sets that will aid inmate workers in obtaining and retaining a job with a living wage once released, advancing an individual’s chances for successful reentry back to society. Leon sought out the most recognized source in North Carolina for manufacturing and process training, North Carolina State University (NCSU). The pilot program with the Chase Laundry was very successful and resulted in project implementations that reduced waste and increased flow. Leon then directed NCSU to conduct more sessions at CE plants that included train-the-trainer programs. Once trained, six instructors were divided into teams of two and began training all remaining manufacturing plants and four administrative sections of CE. The LEAN trainers, named and pictured above, have been tasked to provide one week of training every month for a 24-month program. This huge commitment removes them for a week from their normal duties, putting them in overnight travel status and constant catch-up mode when they return to their duties. They do not receive any additional compensation for this role. They do it because they are dedicated employees who see the value of this innovative initiative. Thanks to Robert Leon’s vision, 26 plants and four administrative groups have received training so far, certifying 132 staff and 148 inmates. The project was recognized by Business North Carolina Magazine, and training continues in 2018, making LEAN methodology an integral part of CE’s culture. 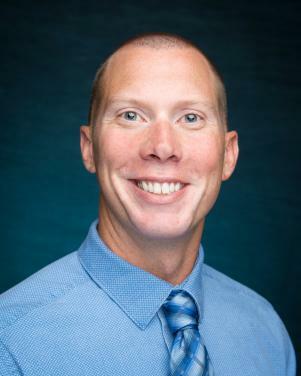 As the Director of Continuing Education, Dane Johnston oversees all continuing education programs and public outreach efforts for the College of Veterinary Medicine (CVM) at North Carolina State University. Over the past two summers, CVM has completed renovations to its two largest classrooms. The rooms were gutted, including the desks that students in the college from 1981 to 2016-17 had used on the path to earn their Doctor of Veterinary Medicine degree. The original wooden desktops were destined for dumpsters before being hauled to a landfill. That is, before Johnston devised an ingenious plan to salvage them. The wood remained in such excellent shape that Johnston had the idea of turning the salvage into cutting boards. He thought the desktops could be cut into two different sizes, treated to protect one side, branded with the college logo and sold. He marketed these cutting boards to alumni with the idea that graduates could own a piece of college history and simultaneously provide financial resources to current students. As of late February 2018, the cutting board initiative had raised more than $25,000, or around 125 cutting boards, for the student enhancement fund. Johnston adhered to one of the university’s tenets about good stewardship of the environment: reduce, reuse, recycle. His idea enabled him to engage alumni and give them an opportunity to reconnect with the college. Johnston’s actions embody the university motto of “Think and Do,” as this initiative raised substantial dollars that can impact student life at the college. His actions portray unity in thought and action to create prosperity for all. Dane Johnston has earned the Governor’s Award for Excellence by implementing his idea of turning desktops into cutting boards and using this project as an extremely successful fundraiser and alumni outreach effort. David Josephus works as a Facility Planner in the Office of Finance and Administration at North Carolina State University. In this role, he was able to devise an innovative initiative that has saved the school more than half of a million dollars. North Carolina State University currently has 240 building identification signs throughout campus. These signs were showing years of wear and tear. The initial thought was to simply replace the worn out signs. But Josephus had a better idea. He realized this was a great opportunity to address some problematic issues. Josephus noticed that the departmental listings were expensive and time consuming to manage, used costly multiple blades, the red paint faded quickly, and they were expensive to refurbish. He also noted that the lack of a street name was a safety issue, and that three different sign types with complicated construction meant a higher amount of labor to maintain. Josephus saw the potential to change for the better. He redesigned the signs, making them simpler and easier to repair. His new design includes addresses and street names to improve wayfinding for visitors and first responders. The new signs are also more durable and less costly to install and replace. The white background with red vinyl lettering offers improved legibility. These new signs also improve fade resistance which will extend the life of each sign. The new signs are projected to save the university $475,000 in material costs during replacement and $25,000 in annual maintenance. Furthermore, since Josephus completed the signage manual update in-house, he has already saved the university $35,000 in consultant fees. 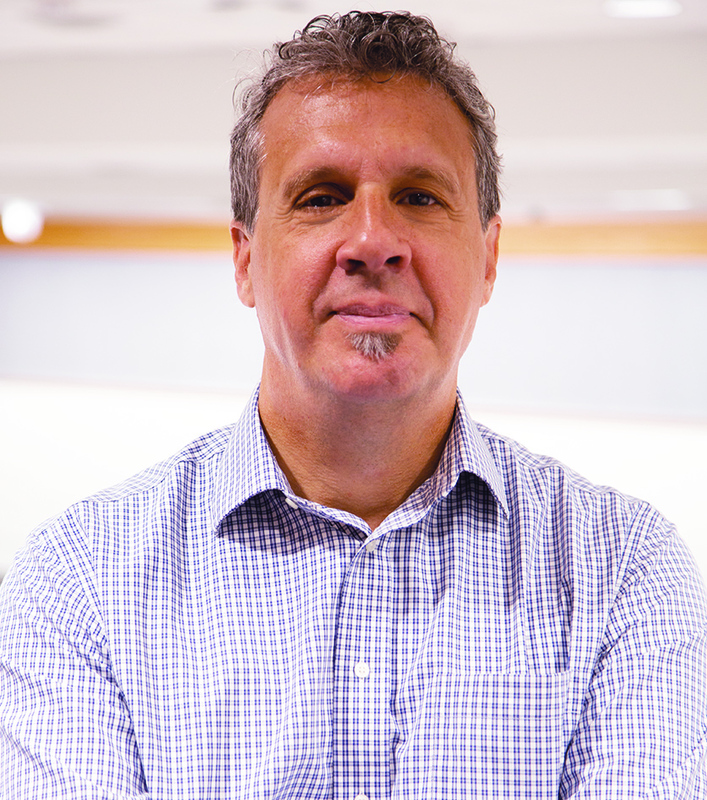 David Josephus has proven to be an invaluable member of his team, North Carolina State University, and an outstanding employee for the state of North Carolina. Tanya Dearmon works in the Department of Revenue’s Greensboro branch as a Customer Education Trainer. At the beginning of this year, Dearmon challenged her former team to a “Year of Service” as a team building project. On February 2, they had their first community initiative volunteering at First Presbyterian Church in Greensboro for the Hot Dish and Hope program. Dearmon and seven employees shared inspirational quotes along with their own personal stories of hope, resilience, belief and determination to 60 guests and 20 volunteers. After delivering their messages, they served meals and assisted with various duties such as cleaning up, clearing tables and washing dishes. They were approached, embraced and complimented by the guests and volunteers. The group truly appreciated the sincerity of the messages that were shared. Many were encouraged and emotionally moved by Dearmon and her team’s efforts. The “Year of Service” culminated with Dearmon being nominated for and winning the John R. Larkin Award for distinguished human service. 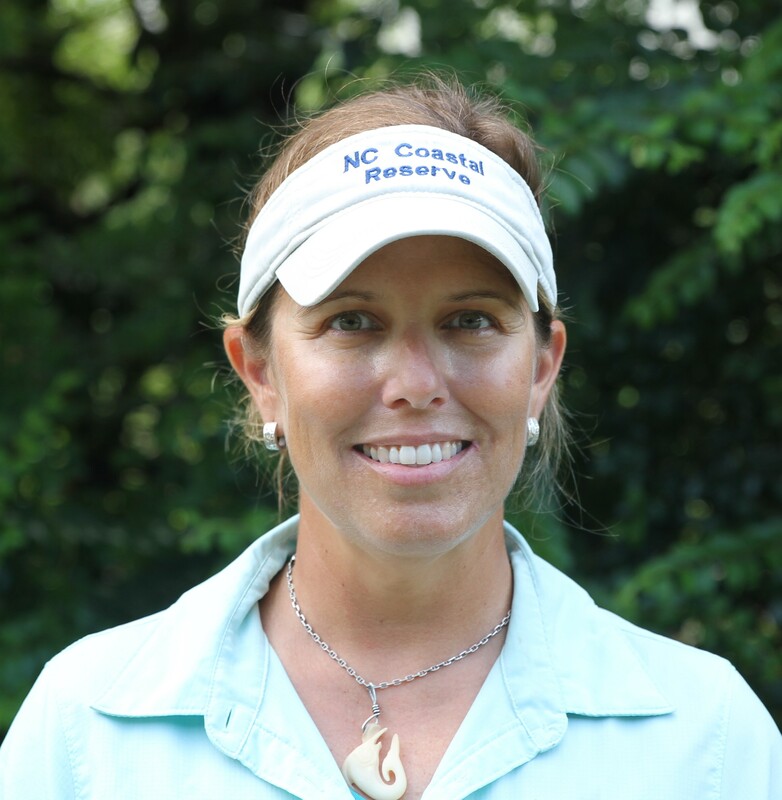 The State of North Carolina is grateful to have Tanya Dearmon work selflessly to help those in her community and inspire others to do the same. The Governor’s Award for Excellence is the highest honor a state employee is eligible to receive. Jackson Marshall is Deputy Director of the North Carolina Museum of History. As he approaches retirement, he will do so knowing that he kept a promise to North Carolina World War I veterans that he made in college – a promise that their stories will not be forgotten. all past visitation records from prior temporary exhibits. Jackson has traveled throughout North Carolina this year, speaking to students, professors and community groups regarding the North Carolina and World War I experience. The exhibit won its first Award of Excellence from the North Carolina Museums Council. Jackson was awarded the Tar Heel of the Week by the News and Observer. The exhibit’s success required a unique set of skills, expertise and commitment. Jackson Marshall’s work surpassed expectations and enhanced the vision of the North Carolina Museum of History. 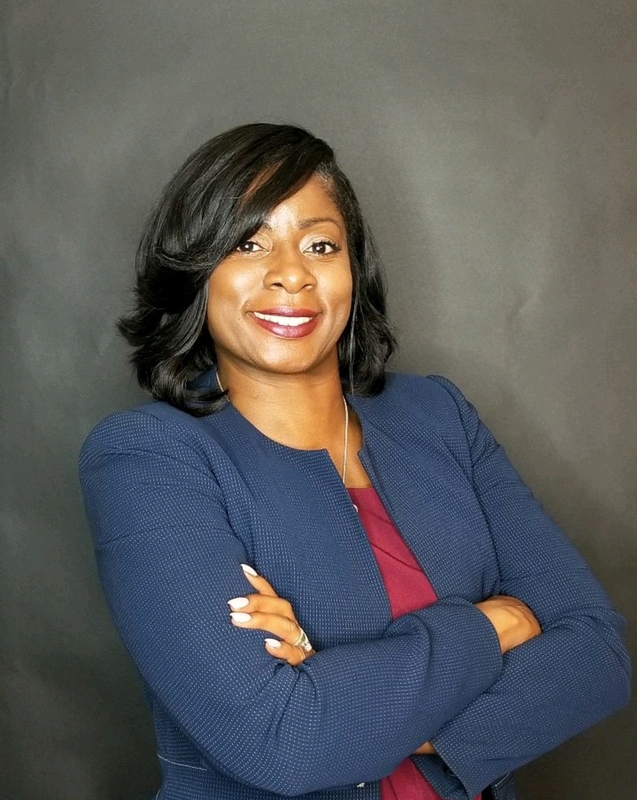 Michelle Bryant oversees the Alcoholism and Chemical Dependency Program for the North Carolina Department of Public Safety. Bryant has been active in the Goldsboro community since 2006, providing services and programs to bridge gaps and restore family ties. She has sacrificed her own money, time and effort to provide programs free of charge to youth and adults. Beginning in 2008, Bryant partnered with Mitchell’s Hairstyling Academy and local licensed barbers and cosmetologists. Together, they provide free services to students returning to school under her Back to School Cuts and Styles Program. In 2017, Bryant used Icon Awards to recognize people in the community whose work in human service, leadership, faith and sports would otherwise go unnoticed. She also awarded $2,350 in college scholarships to eight seniors at Goldsboro High School. Bryant served 250 individuals during a week-long free basketball camp, providing leadership and skills-building training in addition to basketball skills. She also held a free cheerleading camp in Wayne County with another 250 participants. In addition, Bryant hosted a boxing tournament to bring the community together and introduce boxing as a therapeutic tool. She also organized a community basketball game to celebrate the servicemen and servicewomen stationed at Seymour Johnson Air Force Base. Paula Gillikin’s exceptional commitment to serving the public extends throughout and beyond her employment in the Division of Coastal Management within the Department of Environmental Quality. 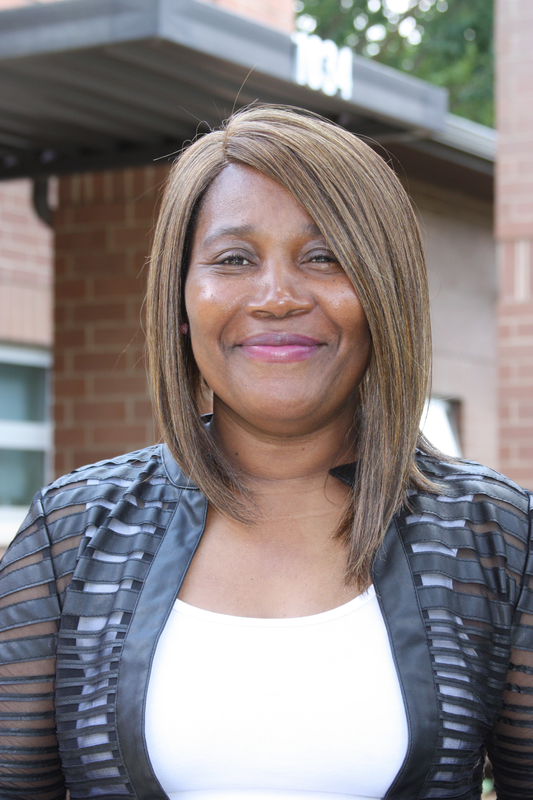 Since she was 19, Gillikin has been volunteering in many capacities, with a strong focus on serving those who cannot speak or advocate for themselves. More than a decade ago, Gillikin observed that cats comprised most animals entering and being euthanized at the local animal shelter. She wanted to understand why, and how the situation could be improved for both the cats and their caretakers. She recruited like-minded volunteers and started a grassroots spay-neuter organization. This organization focused on humanely reducing the local cat population in eastern Carteret County through free and reduced-cost spay and neuter surgery, as well as community education and outreach. The organization is now in its 12th year of operation. Since 2014, Gillikin has served as a Guardian ad litem volunteer in District 3B of the North Carolina Court System. She advocates to the court on behalf of abused or neglected children. Gillikin recently became president of the nonprofit organization working to establish the Bonehenge Whale Center in Beaufort. This center will showcase and conserve North Carolina whales, dolphins and porpoises through research, education and outreach, and specimen collection and display. In addition, Gillikin has also volunteered for and served New Hanover and Carteret County Humane Societies, Paws for People Therapy Dog Program, Brandt Animal Care Fund, Tufts University Veterinary School, and Pet Loss Support Hotline. Aside from personally contributing to her community outside of work, Paula Gillikin also coordinates volunteer activities through her job to inspire others to protect our land and natural resources. 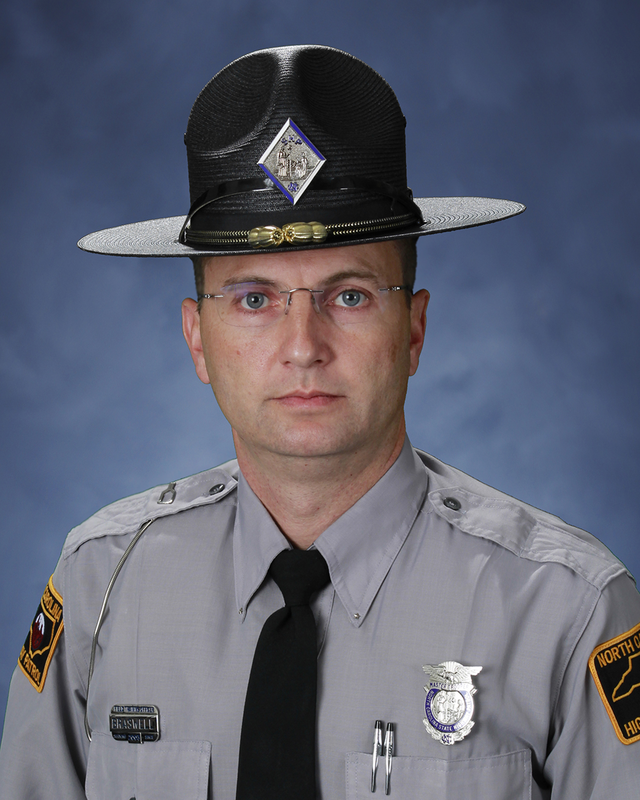 As a North Carolina State Highway Patrol Trooper, Dwight Braswell works every day to serve and protect the citizens of North Carolina. On March 5, 2018, Trooper Braswell was able to call on his training and display an incredible act of heroism. While off duty and taking his child to school, Trooper Braswell came across a motor vehicle collision along U.S. Highway 301 near Benson. The vehicle had run off the roadway and flipped upside down in a ditch filled with freezing water. The car was completely submerged and there were only four tires visible. The lone male occupant of the car had been trapped in the vehicle for some time and was suffering hypothermic symptoms from the cold water. Without hesitation, Trooper Braswell jumped into the water to help retrieve the victim from the vehicle. Others on the scene assisted Trooper Braswell. The victim called out, “Please don’t leave me. Please help me.” Braswell located the man and helped him remain calm as they attempted to get him out. They worked for several minutes until they were able to open a passenger door and pull him out of the vehicle. Had Braswell not acted quickly, the occupant could have lost his life. It is the excellent training, experience, and courageous efforts, like those made by Braswell, that make the state of North Carolina proud of its employees. Congratulations Trooper Dwight Braswell on your heroic actions. 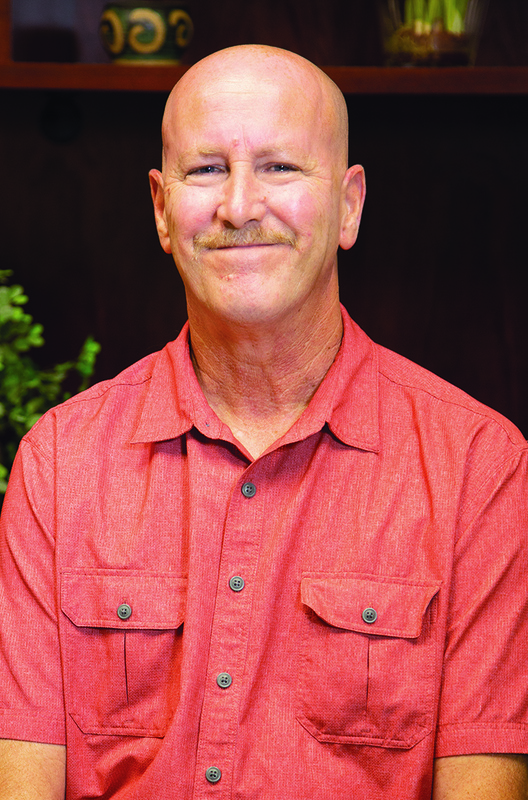 Rick Dickerson is a Rehabilitation Engineer working for the Division of Vocational Rehabilitation Services and Independent Living in the Department of Health and Human Services. His actions on June 15, 2017, demonstrated admirable judgement and courage as he and others helped to prevent loss of life during a vehicle accident. Dickerson was going about his typical day of work in Ahoskie when he came upon a crash scene. Moments before, a vehicle occupied by four teenagers attempted to pass another vehicle on the road. The teenagers’ car was not able to return to its lane before impacting an oncoming log truck with disastrous results. The driver of the commercial 18-wheeler veered to the right in an attempt to avoid the collision, flipping the truck onto its side and halting the car. the wreckage. Once all the passengers were removed from the vehicle, Dickerson supported the head of one of the individuals until EMS arrived. A paramedic with Bertie County EMS said the accident was one of the worst wrecks she had ever seen. The truck driver and three of the individuals in the vehicle survived, but the 16-year-old driver died at the scene. Rick Dickerson’s heroic actions that day effectively saved the lives of the wreck’s survivors. 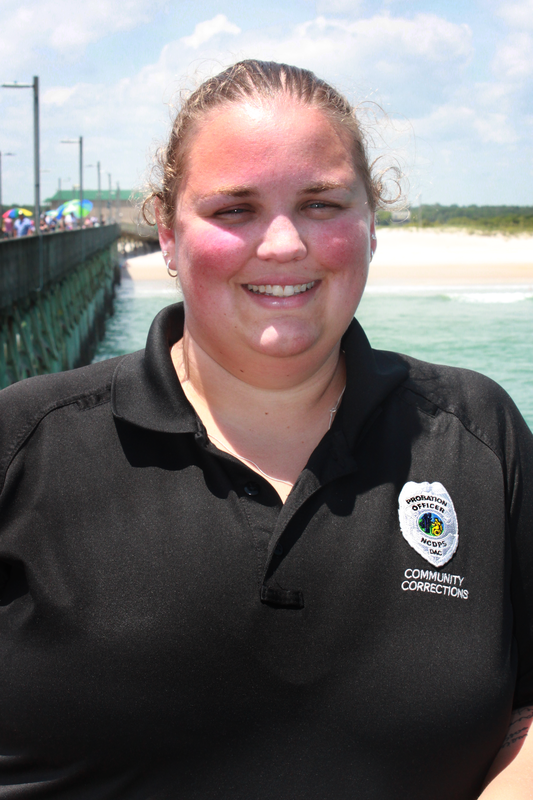 Megan Hess can usually be found working as a Probation Parole Officer in Onslow County for the North Carolina Department of Public Safety. However, on September 23, 2017, Hess began what she had anticipated to be a relaxing day with her fiancé. The two were fishing off a pier near North Topsail Beach when Hess heard a commotion at the end of the pier. She quickly realized there was an emergency. An individual was calling out to find someone that knew CPR. Hess was quick to get involved. She and her fiancé ran to the location to find a man lying on the pier. He was clearly in cardiac arrest and already blue in the face. Hess and her fiancé began CPR immediately. One began administering chest compressions, while the other counted out loud to ensure proper timing for the compressions. When one grew tired from providing chest compressions, they switched roles. They continued until medics could arrive with an automated external defibrillator and transportation to a local medical facility. Several days following the event, Hess was able to meet the man whose life she saved. Just four days prior to the incident, Hess had finished her CPR recertification through the State of North Carolina. After hearing of her quick thinking and involvement on the pier that day, coworkers were not surprised. “It is her nature to get involved and help whenever and wherever she can,” said Chief Probation Officer Danny Blackburn. Acting on her instinct and training, Megan Hess’ quick and thorough response undoubtedly saved this man’s life. North Carolina Army National Guard Staff Sergeant Cory M. Hinkle actively puts others before himself each day on the job. An Iraq combat veteran from Forest City, Staff Sergeant Hinkle is assigned to 1-113th Field Artillery Battalion. On September 18, 2017, Staff Sergeant Hinkle was driving home from his job at the National Guard base in Charlotte. He witnessed the car in front of him get hit head-on by a car from oncoming traffic that had swerved into his lane. Staff Sergeant Hinkle quickly parked his car and rushed over to the scene to help. He could see gasoline was spilling out of the wrecked vehicle and knew he had to get any occupants out immediately. As the car began to catch fire, Staff Sergeant Hinkle opened the driver’s side door to find a bleeding, semi-conscious woman. He was able to pry her out of the burning car and managed to move her to the opposite side of the road. As the fire spread across the car, hot debris and sparks began flying everywhere. 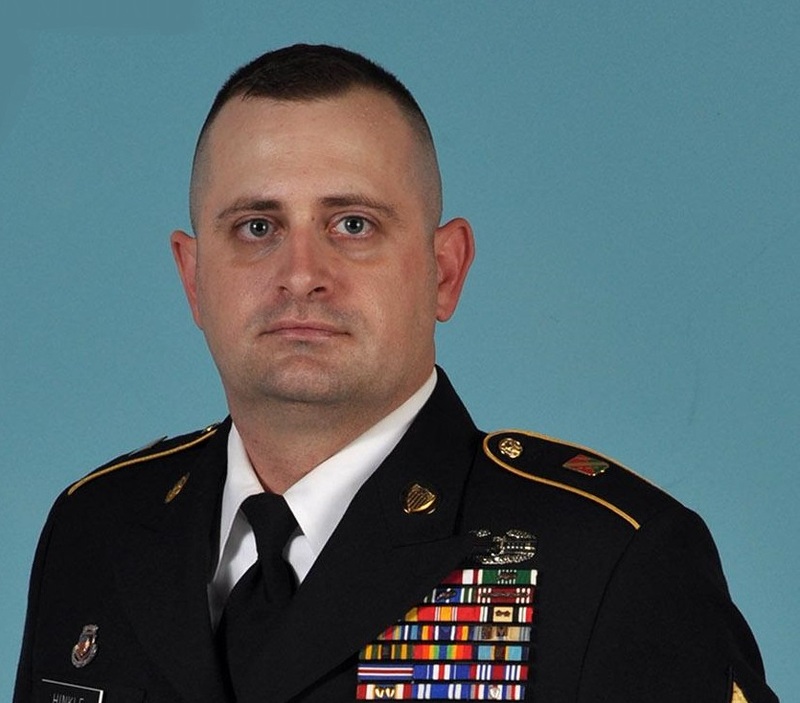 Staff Sergeant Hinkle used his body to shield the woman from the explosions coming from the vehicle’s shocks and tires. He absorbed any flying debris preventing any further injury to the young mother of two. He also helped keep the victim calm despite the conditions. Staff Sergeant Hinkle’s swift action and bravery sums up this story of heroism and selflessness. He put his military training to the test, suffered minor injuries himself, and yet humbly states he hopes someone else would stop and do the same for his family. Staff Sergeant Hinkle is not only an American hero, but a North Carolina hero as well. Truck driver, HVAC Technician, HVAC Supervisor, Plant Maintenance Supervisor, Construction Project Manager, and project closer. These are just a few of the roles David Setser has taken on in service to the North Carolina State University Wolfpack. However, this service ethic does not end at work; it applies wherever Setser goes. On October 11, 2017, Setser was on his way to work when he observed a pickup truck stopped on the side of the road. One of the occupants was waving to get his attention, so he stopped to offer assistance. The passenger had suffered an apparent cardiac arrest. He was not breathing and had no detectable pulse. David immediately moved the victim to a flat surface to begin CPR. He maintained cycles of rescue breathing and chest compressions until an emergency management services crew arrived to take over. The victim regained and lost a pulse twice before EMS was able to transport the victim to the hospital. and is willing to get involved and help others whenever he can. 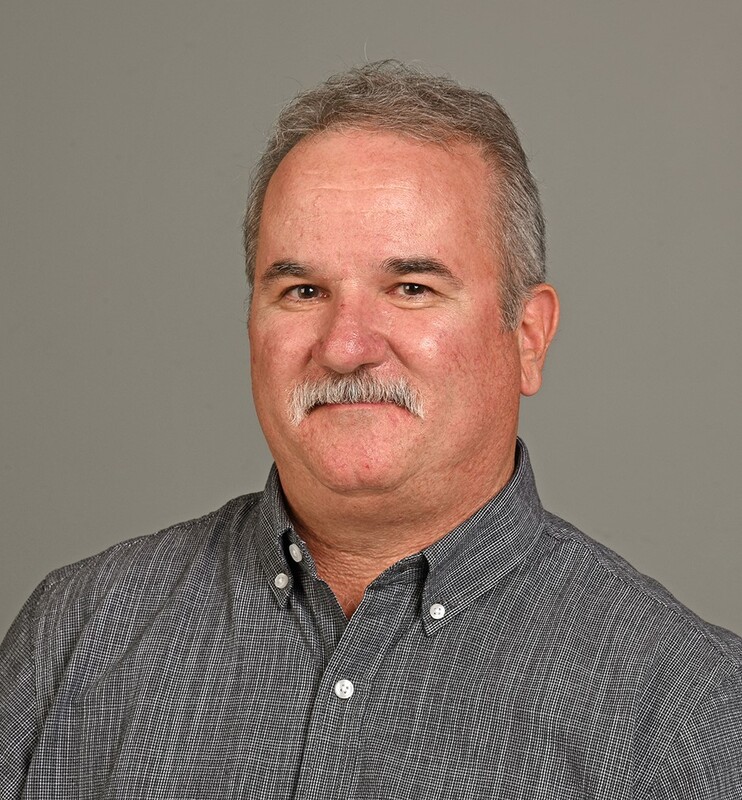 We are thankful to have David Setser as a state employee at North Carolina State University, and we appreciate all he does on and off the job to assist the citizens of North Carolina.